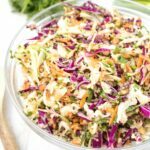 This Easy Caesar Dressing From Scratch is so easy it’ll make you never use store bought again and wonder why you didn’t make it sooner! There are salads, but then there are SALADS. You know, salads that are so tasty that they make you forget that you’re eating mostly lettuce. And let me tell you, this Easy Caesar Dressing from scratch will make anything, even just a big bowl of romaine lettuce a Salad with a capital freakin’ S.
I once had a roommate who loovvveedd Caesar salads. She’s order them as a side anytime we went out to dinner. It’s how she ranked the restaurant. If they f-ed up the Caesar, she’d immediately lower her expectations for the main dish. 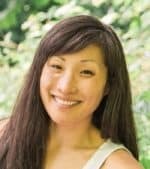 I once had to talk her out of walking out of a restaurant that put cherry tomatoes on her salad. Girl knew her Caesar Salads. And dare I say, she’d be pretty psyched about this one. There are two key elements to a true Caesar dressing. #1 is that the dressing is emulsified (this is what will give it the consistency and texture to evenly coat the romaine). #2 Anchovies. Ok ok, so I know that a lot of peoples first reaction to anchovies is a tongue out and finger in the mouth. Yup, I get that. They are tiny little fish with heads in a can… however, they are they key to a true Caesar dressing. Without them your dressing just won’t taste the same. It’ll be flat and taste more like a parm flavored mayo than a Caesar dressing. Trust me on this one. You won’t regret it. 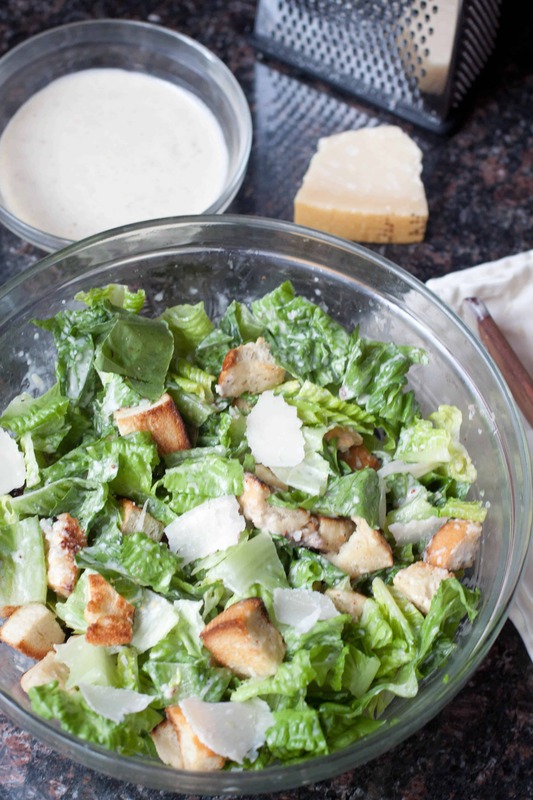 Some fresh, crisp romaine lettuce, Parmesan cheese, and some homemade croutons and with this creamy, rich, Easy Caesar Dressing From Scratch and you have the perfect side salad. Slice some fresh Parmesan off a of a gorgeous brick and you’re in business. 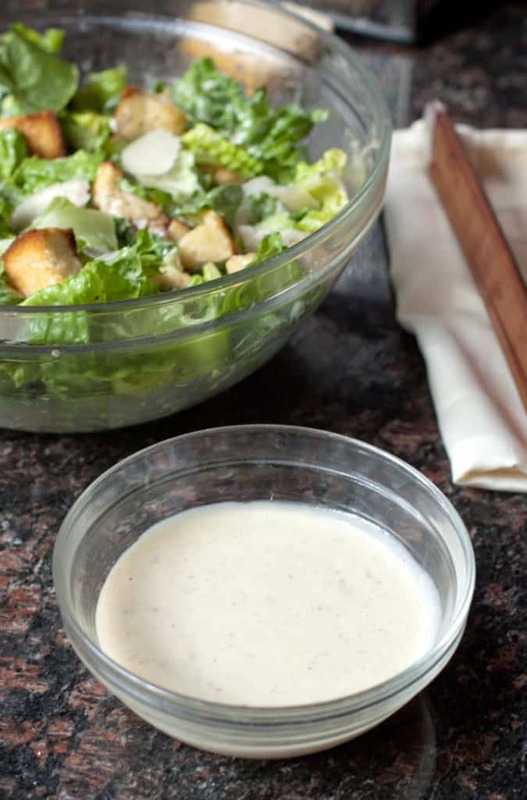 We’ve made a lot of delicious salads and dressings but this Caesar dressing is a classic that has to be on your From Scratch condiments list. Excuse me while I dip my Tater Tots, Onion Rings, Fries, hell, I’ll even dunk some Baked Chicken Wings in this freakin’ magic dressing. Enjoy! 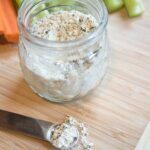 This Easy Caesar Dressing From Scratch is so easy it'll make you never use store bought again and wonder why you didn't make it sooner! With a mortar and pestle, add anchovies, garlic, and salt. Ground to a paste (this can also be done with the back of a knife on a cutting board). Add paste to a food processor and add egg yolks, lemon juice, and mustard. Turn on processor and add olive oil very very slowly, one drip at a time. 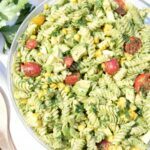 Then add vegetable oil in a very slow and steady stream, emulsifying dressing like a mayo until it is creamy in texture. Season with black pepper to taste (if desired). 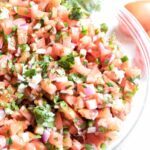 Store in a air tight container in fridge until ready to use, no longer than 3 days. Makes about 1 1/2 cups. 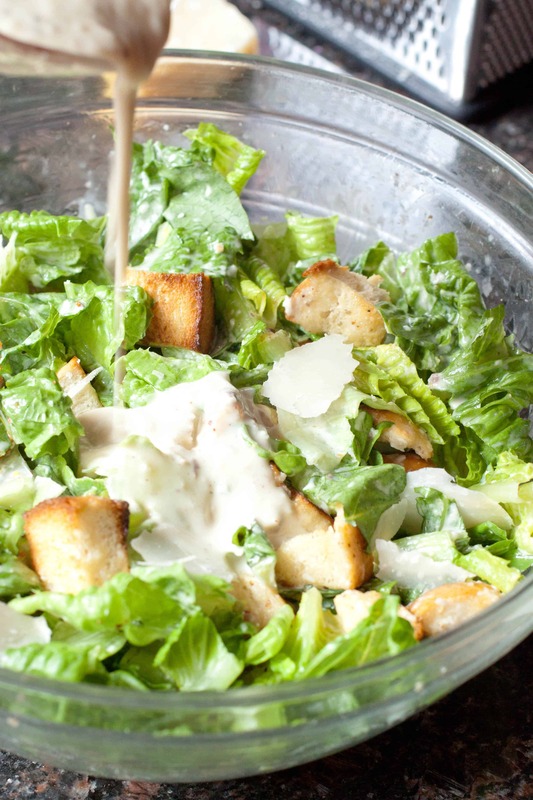 Assemble Caesar with fresh crisp romaine lettuce pieces, homemade croutons**, and fresh shavings of Parmesan cheese! Yum! 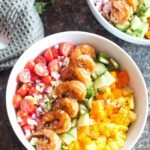 I love homemade dressings, they are 100% better than store-bought! 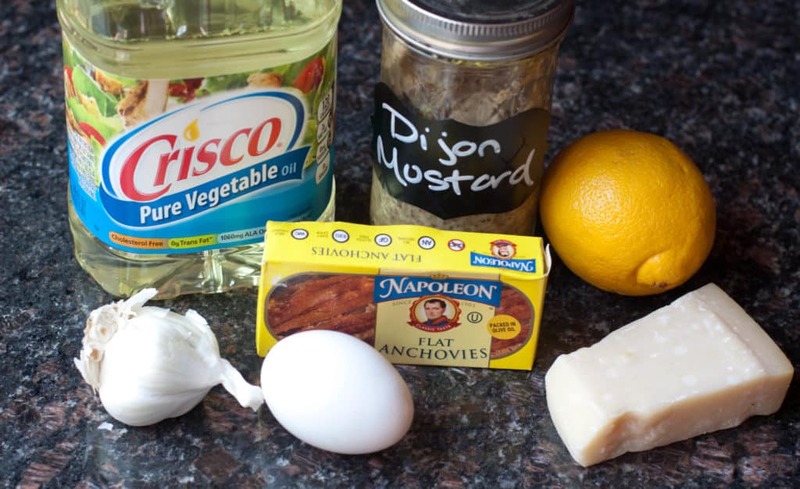 Homemade Caesar dressing sounds amazing! 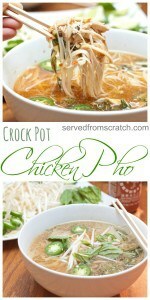 I am going to have to make this for my husband. He LOVES Caesar salads. 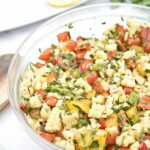 My favourite dressing, and it’s so easy to make yourself. 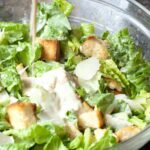 Caesar salads are my husband’s favorite and I’m passing this on to him as he loves to cook. We are all anchovy fans in my house — especially in a Caesar dressing. Delicious!